Enter Code PV2F+GG into Google Maps in to find us in NORTH ANDOVER, MA. 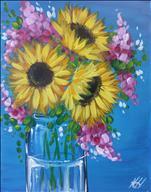 Painting with a Twist is the Merrimack Valley's premier BYO art studio located at The Mills in NORTH ANDOVER, MA! This is FUN art not fine art! Bring your favorite people, your yummy drinks and snacks, and we take care of the rest. Our talented, local artists will be with you every step of the way as you eat, drink and laugh your way to a finished work of art. You will be amazed before the event is over! EVERYONE can do this from age 7 to 107! We promise! 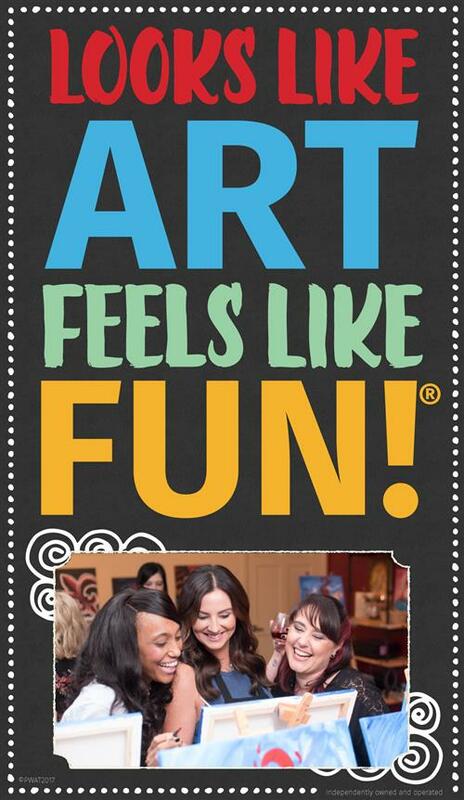 Our artists are all about fun art and can teach anyone. Come and get that "I can't believe I just painted this" feeling. Discover your inner artist in a relaxed, stress free and fun studio. 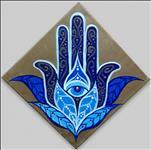 We provide all painting supplies and artists instructions. No art experience is necessary. Simply be ready to have a "twisted" good time! 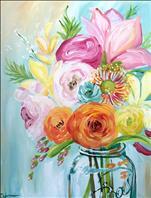 Public classes for everyone from $25-$45, depending on the painting. See our calendar of events here. Private parties for adults and kids are awesome - so much fun! Corporate team building, bachelorette, showers, girls night out, birthdays, book yours today! See our private party page for more info, private party info . Gift cards are a unique gift for any occasion and are available for purchase online or at the studio. We also offer offsite classes at your location (workplace, school, community center, assisted living, recreation center). 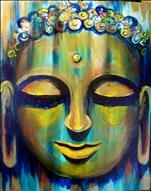 Please call or email for details at studio306@paintingwithatwist.com. BYOB 21 and up. Guests must be 21 to consume alcohol. Non alcoholic drinks as well as food are permitted as well. We do reserve the right to request ID. We recommend kids be ages 7 and above, however all ages are welcome for most classes. Friday and Saturday evening events are almost always adults. We are BYO, so it can be a mix in any class. Please email or call us with questions. Cheers and Thank you! For all our painters trying to locate us for the first time using Google Maps, while our address listing is correct on Google, Google Maps is mistakenly directing people to Hight St. in Andover, MA. This is incorrect. 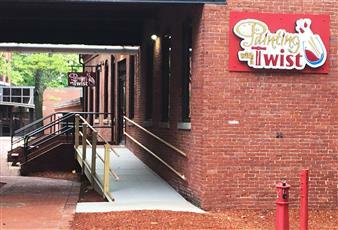 We are located at 10 HIGH ST. in NORTH ANDOVER, MA. 01845 Other business' located adjacent to us are: The Wine Lab 18 High Street North Andover, Massachusetts 01845 Jade Restaurant 24 High St. North Andover, Massachusetts 01845 Entering either of these addresses into Google Maps will get you to us successfully as well. Thanks so much! Feel free to call/message us with any questions, etc. We're working on getting this resolved with Google Maps as well. Cheers! 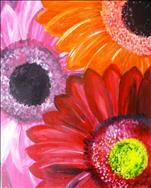 We are so excited to bring Painting with a Twist to 'the Mill' in North Andover, MA! 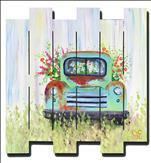 Check out our calendar to see what fantastic paintings we have to offer you. Our Grand Opening is scheduled for Thursday, March 23rd! The Open House is open to the public from 5:30-7pm! 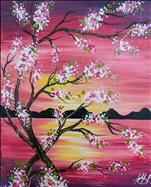 We will have a paint from 7-9 with limited availability, but all are welcome to stay and check it out. It will be a great night with food, drinks, and plenty of giveaways. 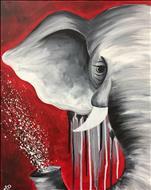 RSVP to studio306@paintingwithatwist,com. Everyone is welcome!!! Contact the studio to learn more about us. In addition to our public paint events we have great options for private events, schedule a Private Party, Team Building Event or host a FUNdraiser! 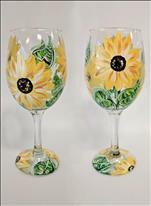 Use: studio 306@paintingwithatwist.com, Facebook or call us at 978-258-4204. 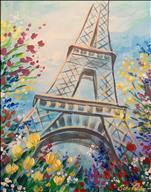 We can't wait to meet you, so come and get your paint on with us! See you all in the studio!